Do you want to customize the look and feel of your image sliders? Sometimes you may want to add custom CSS to style your image sliders. In this article, we will share how to add custom CSS to your WordPress image slider. Many WordPress image sliders don’t support custom styling, so you’ll need to edit your theme’s HTML and stylesheet to add custom classes to each of your sliders. 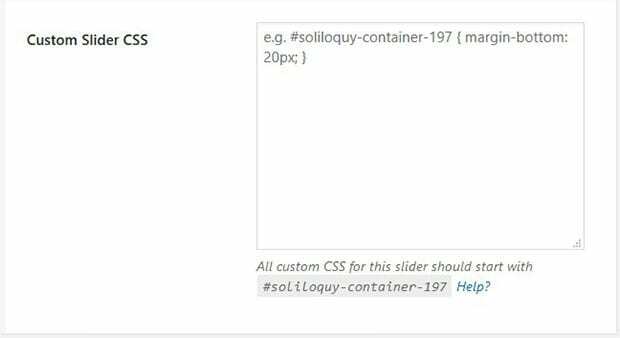 However, the Soliloquy plugin with CSS Addon saves time by allowing you to include custom CSS for each individual slider. 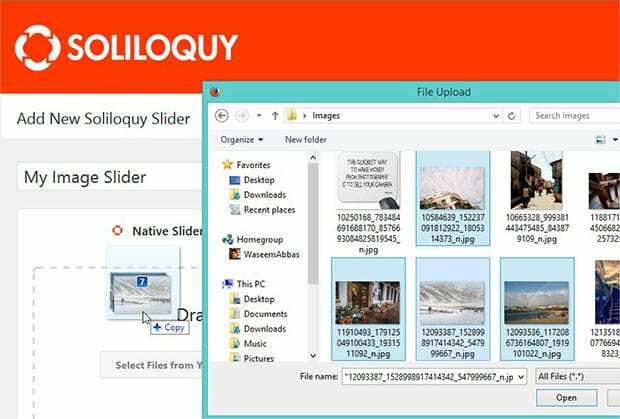 First thing you need to do is to install and activate the Soliloquy Image Slider plugin. If you need help with this step, you should check out our documentation on how to install Soliloquy. Upon activating Soliloquy, you’ll need to go to Soliloquy » Addons to install and activate the CSS Addon. Next, you should go to Soliloquy » Add New to create an image slider. Simply add a title and drop your slides into the Native Slider section. To learn more about creating an image slider, check out our guide on how to create an image slider in WordPress. After adding your slides, you can go to the Misc Tab and scroll down to the Custom Slider CSS field. Then go ahead and add your custom CSS here. Make sure to hit the Update button to save your changes. That’s all. 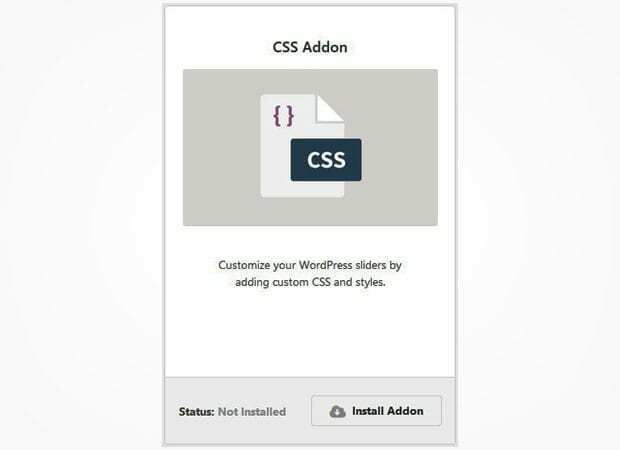 We hope this article has helped you to learn how to add custom CSS in your WordPress image slider. You may also want to check out our guide on how to create an HTML slider in WordPress. I just received this error message when I attempted to install my slideshow. So what should I do next? If following that guide doesn’t resolve the error you’ll want to contact your host to increase this setting for you.